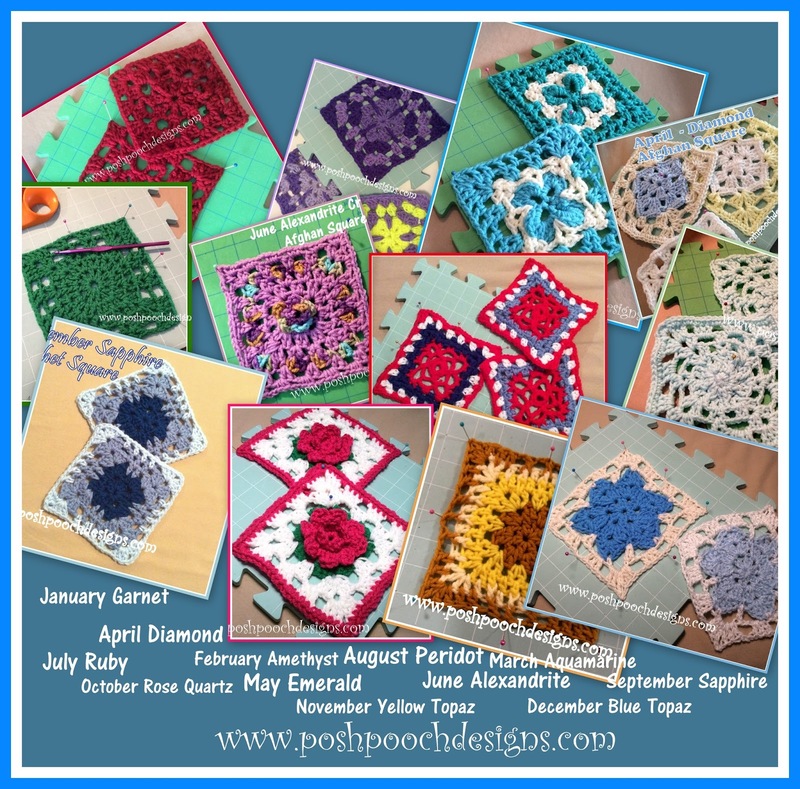 The 2017 Crochet A Long Square of The Month has ended! I really enjoyed designing these squares. Each month I designed a 6 Inch Square using that month's birthstone as my inspiration. Here are all 12 squares. 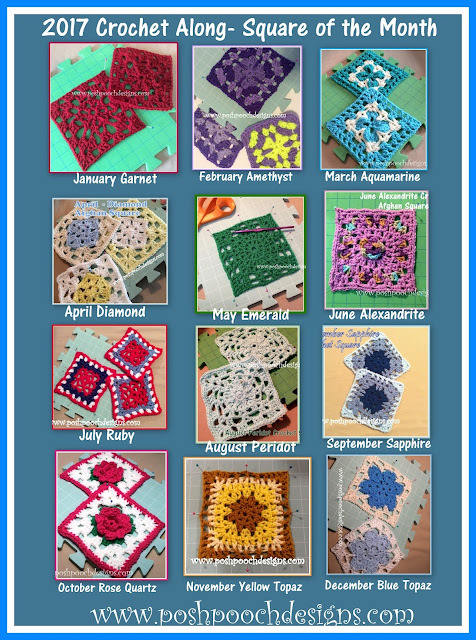 to take you to the Free Crochet Pattern. I have a really fun project we are going to make together, with these 12 squares. It's not a blanket, scarf, hat,or cowl! and be looking for the project in a couple of weeks. I will Link it here as well. What do you think the Mystery project is?